“Changez Khan” Written by Maqsood Sheikh. 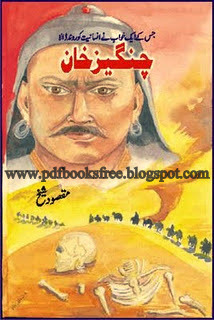 A complete biography and history of Changez Khan Mangol General. His real name was “Tamojan” which meaning is “The Iron Worker”. He was born in 1162 in the Reagen of “Aanan” . This book is complete life story of Changez Khan in Urdu language. You can download the complete book from the below mentioned link in PDF format to read offline. Link has been updated, you may now download please. Dear Atta ur Rahman Sahib, download from this site is very simple. Just click on the download link at the end of the post, a new page will be appear before you. on this page click on the green download button. Thanks for your visit to my site.